In the world of SEO and digital marketing, people are constantly stressing the importance of high-quality, optimized content. However, the conversation is disproportionately less frequent when it comes to images on your website. For many business websites, particularly e-commerce, image optimizations is equally as important as the text you include. If you’re not sure where to start, here are the image optimization basics on how to begin. When choosing images for your site, you want to choose imagery that is visually stimulating and relevant to your brand. However, using the right image goes beyond how it looks; you must also consider the aspect of licensing. If you are using images you’ve created yourself, it is crucial that you only use content that you have permission to use and modify for your own objectives. Using copyrighted photos without appropriate permissions can get you in serious trouble with the people that own the image. Instead, choose images that are either royalty free or you have bought permission to use. Use the correct file format. JPEG: The most common image format used today, JPEG files use lossy data compression. Depending on your settings, the quality of an image can reduce significantly. JPEG files also offer no support for transparent backgrounds. That being said, JPEGs offer the advantage of keeping the file size small and this format will be supported on almost any platform. PNG: As a modern alternative to JPEG file formats, PNG is able to support transparent backgrounds, offer a wider range of colors, and have automatic gamma correction ability. PNG file formats can even store text descriptions of the file’s content to facilitate in search engines categorizing your images. Because it is the most modern format, take caution in determining if your desired platform supports it. File sizes also tend to be slightly larger. GIF: This type of file is a bitmap image format that is used for simplified animations and art. GIF files only support 256 colors, so it is not a recommended format to use for photorealistic images. However, its smaller file size and transparent background support make it a good format candidate for business logos and other branding elements on a website. Keep image size in mind. As you optimize images, you want to reduce the file size as much as you can without sacrificing the visual quality as it displays on your website. This is important because excessively large file sizes uploaded to your website will slow down the load time dramatically for users. 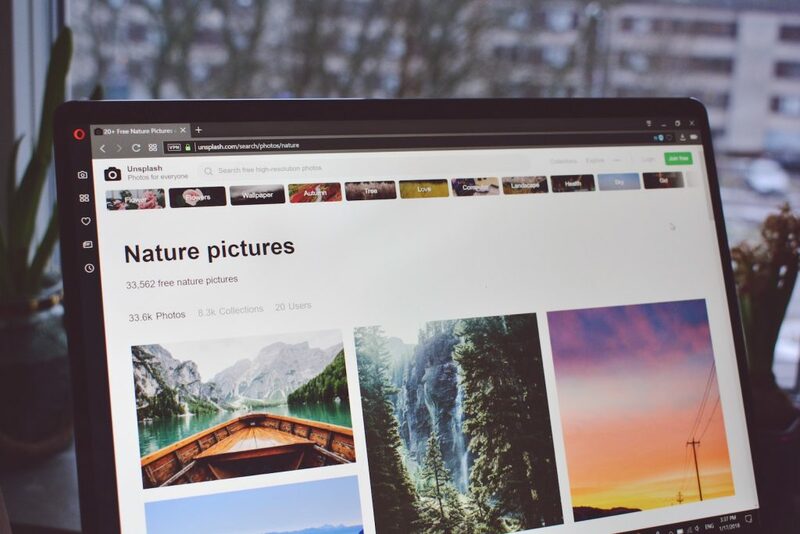 Because website users will only wait a few seconds for a page to load before exiting, it is a pivotal practice to keep image size and site load time in mind. In the early stages of building your website, it will be easy to sift through the initial files you upload without being descriptive in their titles. However, as your site gets older and more complex, you will wish you implemented a system where each image is given an informative file name for easy search and access. Not only that, descriptive file names make it easier for search engines to find them and present them as relevant content in search queries. Alternative text, or alt text for short, is designed to indicate the identity of an image when a user hovers over it with their cursor. Additionally, this text will enter the space where an image is supposed to if there is a loading error and be used by screen readers for users who are visually impaired. A simple alt text tag is also a way to tell search engines what the image is about to rank higher in SERPs. Social media and SEO work together in digital marketing success. Building your social media profiles and sharing these optimized images will promote sharing and better awareness of your brand. An easy way to integrate social media into your SEO strategy is to include social media sharing buttons on your website and links to the other places online where people can follow you.